Used guns - Guns for sale - Firearms for sale - Online guns. The Kings Armoury sells used guns. We offer collectors a source of used guns specialising in antique guns, vintage guns, collectable guns and military guns. The firearms.net.au website is operated by The Kings Armoury, a firearms dealership located in Perth, Western Australia by proprietor Michael King. 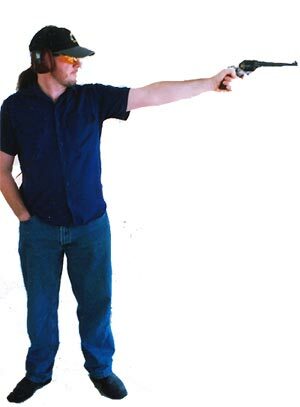 Michael began his lifelong interest in target shooting when he was 4 years old. He began collecting firearms upon receiving his first rifle from his father for his 9th birthday. 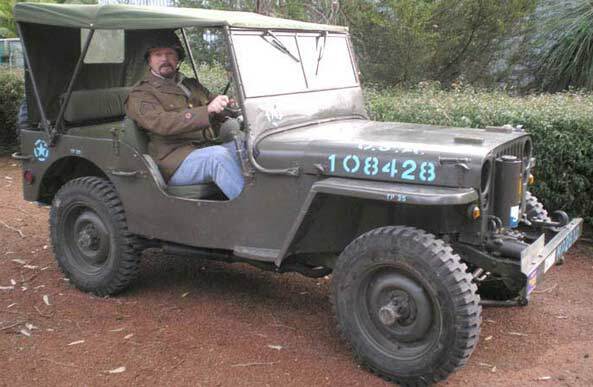 Michaels father worked at the Small Arms Factory (SAF) at Lithgow for 46 years, more than 10 of those years as the head foreman in charge of rifle assembly and reconditioning (FTR). When Michael was 6 years of age his father took him into the SAF Museum and he was hooked on historical firearms from then on. Michael is fascinated by the living history aspect of historical firearms, not to glorify war but rather as a reminder of the sacrifices made and also of what not to do in future moments. Upon leaving school when he was 16 he followed in his Fathers footsteps and commenced a Toolmaking apprenticeship at the Small Arms Factory which included extensive training in all aspects of gun manufacture, design, testing and troubleshhoting. In the 3rd year of his apprenticeship he also commenced training in Mechanical Engineering and he later worked for many years in process engineering. He worked on many commercial projects as well as on small arms research and development projects. Michael was also involved in troubleshooting rifle manufacturing processes. In 1983 after becoming the Department of Defence Support Apprentice of the Year he was sent to the UK for a year to work at the Royal Small Arms Factory on attachment. All in all Michael worked at the SAF for 15 years then took a redundancy package. For many years he also ran a PA business part time doing sound and lighting for bands. Since 1996 he has been running his own training consultancy business. A respected public speaker, he regularly receives invitations to address large gatherings all over the world in the field of personal success. He also works within the business community, lecturing on ethical business strategies and purpose/service-oriented business visioning. This is a firearms dealership with a difference. Michael's business philosophy is based on 35 years of collecting experience and target shooting. If there were only one thing that he can share from these years of experience, it would be that "Reputation is Everything." He will always be a collector at heart, so he knows what it is like to spend hard-earned money ordering something over the phone or Internet only to be disappointed. His main goal for this site is to have satisfied customers who will come back in the future to add to their collections without hesitation. He has made a commitment to represent every item with a thorough description and detailed photographs. We see our business as a community of like minds, students of arms who are interested in preserving our firearms history. Our business is about relationships and sharing a mutual interest. Used guns of all kinds are available. Michael's other interests and activities include using his skills as an engineer to build and renovate all kinds of objects. He is the father of three grown-up children. Now that his kids are grown up and his training business is pretty much running itself he has more time to focus on his interest in firearms. Michael is a an avid collector of all kind of things............. We have all kinds of firearms and used guns for sale. Becomming a firearms dealer of used guns was really the natural evolution of Michaels very enjoyable hobby of collecting and shooting firearms. Over the years he has shot in all kinds of disciplines from Black Powder to Field Rifle and he has won medals in events at both State and National level. Michael still shoots shotguns, muzzle loaders, lever and centerfire rifles for fun. We sell used guns. We sell used guns online. Firearms for sale. Gun sale. Used rifles for sale. Used pistols for sale. Used firearms for sale. Firearms online. Used guns online. Shotgun dealer. Online shotguns. Used shotguns for sale. Advertise used guns for sale. Advertise used firearms for sale. Used guns for the collector. Welcome to your used gun dealer.